Roombas & Other Robotic Vacuums …Finally, SEE How Well They Work! Modern technology is a wonderful thing! While we may not yet have mechanical maids tending to the dusting and delivering a tray of cool beverages to your favorite recliner, the likes of Rosie the Robot (the maid on The Jetsons cartoon series) might be closer than you think — thanks to electronics and microchips. Enter robotic vacuums (like the Roomba). These self-propelled vacuum cleaners keep carpets clean without any real physical human input. The iRobot Roomba is a round disk-shaped vacuum cleaner. It travels about your room with “bump and turn learning technology” which allows it to move around objects that it encounters along its journey. To activate the Roomba, you simply push a button and let the Roomba take off on its own. It couldn’t be any easier than that! You might be wondering, when the Roomba is left to determine its own path, does it really manage to cover the whole room? After all, what good is an autonomous device if it misses half the dirt, right? As you can see, the Roomba uses many different sensors to indicate when there is a change in the elevation of the space in front of it. So, for example, the Roomba may come to your stairs (or the edge of a workshop table) and appear as if it’s going to go over the edge, but it will simply “peek” over the edge, turn, then go a different way. This video shows how Roombas can sense things like carpet tassels, stairs, and hardwood floors. It then adjusts accordingly. 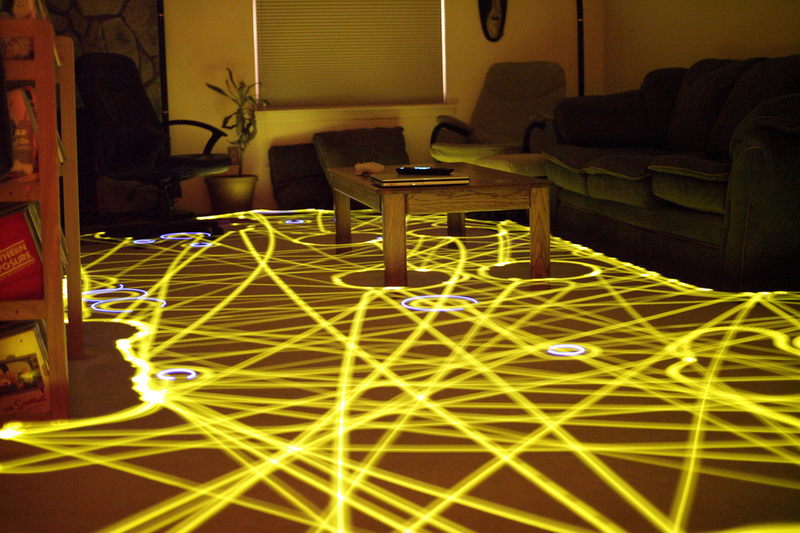 Because of the way the Roomba navigates its way around the room, if you pick it up during its run, it will have to re-learn the room’s layout after you return it to the floor. Evolution Robotics, a supplier of technology to manufacturers, is working on a navigation system for robot vacuums that would allow them to read infrared light beams transmitted on the ceiling of a room from a transmitter plugged into an outlet. That way, if you picked it up and took it to another room to clean the floors in there, it would immediately recognize where it is and how to proceed. Difficult cleaning problems like dog hair and cat fur pose no problem for the Roomba. After some dog owners complained that the original Roomba would sometimes gets stymied by dog fur, they created the pet series Roomba that works even better on pet hair. Roomba isn’t the only circular-shaped self-propelled vacuum cleaner on the market. Cleanmate is another manufacturer of robotic vacuums. Operation and capabilities are similar to the Roomba. According to their website, when the Cleanmate senses its battery is running low, it will automatically return to its docking station, recharge, and once back to full strength will return and finish the cleaning task it was sent to do. The iTouchless vacuum cleaner is another popular choice. It’s from the same company that makes this nifty 2-compartment touchless trash can. The 2 newest robotic vacuums to hit the market are the Neato robotic vacuum cleaner and the Mint Evolution vacuum. (The Mint vac won an award.) Oh, and the ever-popular Dyson has a robot vacuum in its sights. The future certainly looks bright for robotic vacuum cleaners! Since robots are getting more sophisticated every day, the list of features available in robotic vacuums continues to grow as well. There are models on the market today that allow you to program them to run at any day or time you choose. You can even use Bluetooth or call up your vacuum on the Internet and program it from anywhere in the world (…if you get the urge to vacuum your floors while you’re gone). I guess this would eliminate the noise and distraction of having it run while you’re looking for a little peace and quiet at home. Roomba Makes Vacuuming A Breeze!